The King of Pop Keeps Making History & Breaking Records! 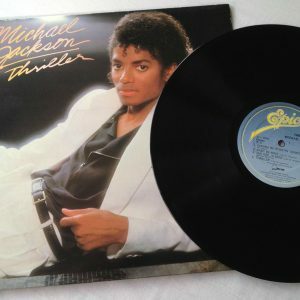 Michael Jackson’s Thriller has become the first album in RIAA Gold & Platinum Program history to be certified 33x Diamond for United States sales and streams, it was announced by the Recording Industry of America (RIAA), the Estate of Michael Jackson, Epic Records and Legacy Recordings (the catalog division of Sony Music Entertainment). Thriller is still the ONLY album ever to have surpassed the RIAA’s 30x million mark in U.S. sales. 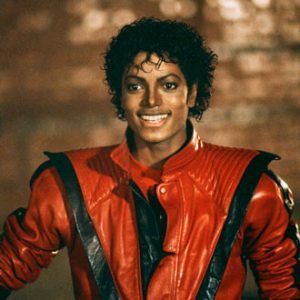 “Thirty five years later, Michael Jackson‘s ‘Thriller’ remains as timeless and iconic as ever,” said Cary Sherman, Chairman and CEO, Recording Industry Association of America (RIAA). 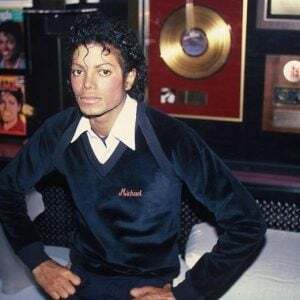 “‘Thriller’ has now become the first and only album to achieve an RIAA 33X Diamond Award, a moment forever etched in Gold & Platinum Program history. Congratulations on another ‘Thriller’ milestone.” The same day as Thriller‘s record-breaking certification, Michael Jackson’s Bad has also achieved RIAA 10x Diamond Award status in recognition of United States sales and streams of 10 million units. With sales now topping more than 105 million copies worldwide, Thriller has solidified its status as the best-selling album of all-time while Michael Jackson’s overall worldwide record sales exceed the 1 billion threshold. During his extraordinary career, Michael Jackson released 13 No.1 singles and became one of only a handful of artists to be inducted twice into the Rock and Roll Hall of Fame. The Guinness Book of World Records recognized Jackson as the Most Successful Entertainer of All Time and Thriller as the World’s Top-Selling Album of All Time. His artistry, choreography and music continue to inspire generations of pop, soul, R&B and hip-hop artists and fans. 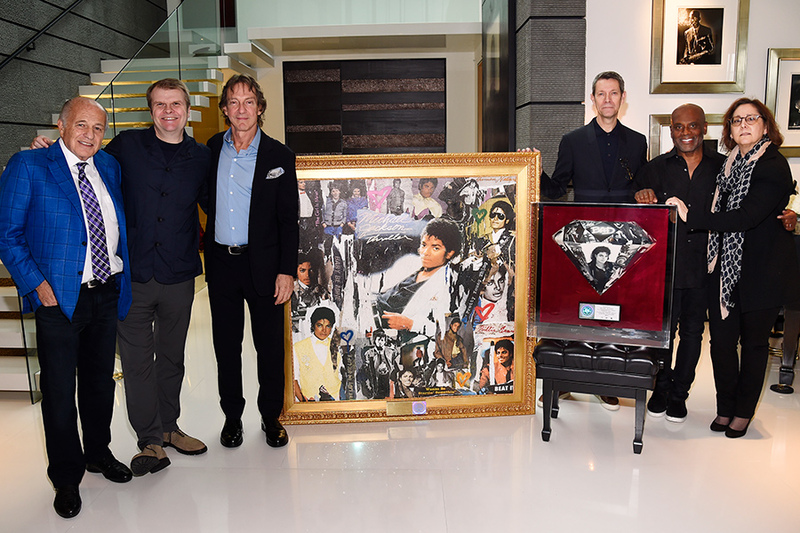 PHOTO – Executives from Sony Music Entertainment and the Estate of Michael Jacksons were in Los Angeles in a special plaque presentation honoring the most recent RIAA Gold & Platinum Program milestones achieved by Thriller and Bad. Featured in the photo left to right are: Doug Morris (Chief Executive Officer, Sony Music), Rob Stringer (Chairman & CEO, Columbia Records), John Branca (Co-Executor of the Estate of Michael Jackson), Richard Story (President, Commercial Music Group), Antonio “L.A.” Reid (Chairman & CEO, Epic Records), and Karen Langford (Estate of Michael Jackson). 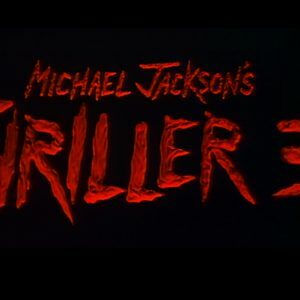 Michael Jackson’s masterpiece Thriller, produced by Quincy Jones (and co-produced by Michael Jackson on his own songs), won a record setting 8 Grammys, more than any album ever, and has been earning awards and setting new standards of success since its release on November 30, 1982. 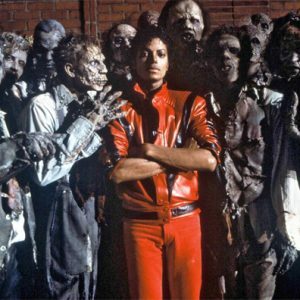 Thriller spent nearly 2 -1/2 years on the Billboard album chart and holds a modern day record of 37 weeks at #1. It was the first album in history to spend each of its first 80 weeks in the album chart’s Top 10, a feat only reached by one other album in the more than three decades since. During its 112th week on Billboard’s album chart, it became the first title ever to be certified RIAA 20x Diamond (October 30, 1984) and RIAA 30x Diamond (December 16, 2015). 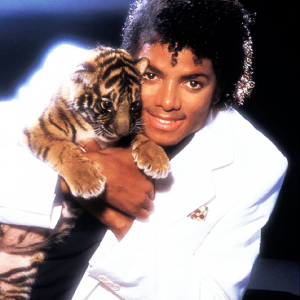 Worldwide, Thriller went to #1 in practically every country in the world, including the UK, France, Italy, Australia, Denmark, Belgium, South Africa, Spain, Ireland, New Zealand, Canada and apartheid South Africa. 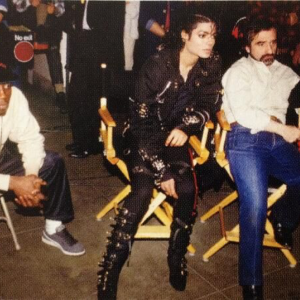 The importance of Thriller was recognized by Michael Jackson’s industry peers at the Grammys. Thriller was nominated in a record breaking 12 categories, and won a history making eight, which stands as the record for most Grammy Awards to be won by any album. Seven of those Grammys that year were awarded to Michael for: Album of the Year; Record of the Year (“Beat It”); Best Male Pop Vocal Performance (“Thriller”); Best Pop Vocal Performance (“Thriller”);; Best Male Rock Vocal Performance (“Beat It”); Best Male R&B Vocal Performance (“Billie Jean”); Best R&B Song (“Billie Jean”). 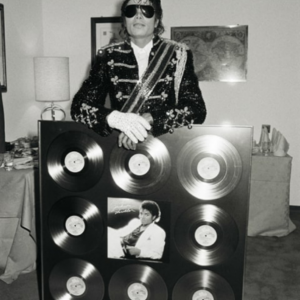 (Michael’s eighth Grammy that year was in the Best Recording for Children – Single or Album, Musical or Spoken category for “E.T. The Extra-Terrestrial” which also gave Michael the record for the most Grammys won by a single artist in one year). That same year, Michael Jackson took home eight American Music Awards and three MTV Video Music Awards. The following year, “The Making of Michael Jackson’s Thriller” took home the Best Video Album trophy at the 27th Annual Grammy Awards. More than just an album, Thriller has remained a global cultural multi-media phenomenon for both the 20th and the 21st centuries, smashing musical barriers and changing the frontiers of pop music forever. The music on Thriller is so dynamic and singular that it defied any definition of rock, pop or soul that had gone before. “Beat It” was a new kind of pop-rock hybrid and demolished the longstanding segregation between black and white music with Eddie Van Halen’s incendiary guitar. On “The Girl Is Mine,” a black man and a white man bantered about the same girl. 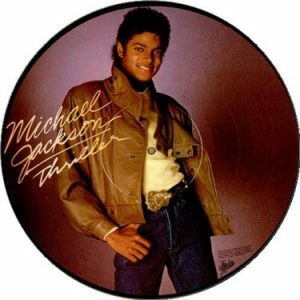 On the same album were songs like the African-rooted “Wanna Be Startin’ Somethin’” and the rhythm and blues-based “Billie Jean.” No one had ever released an album with such a vast range of material. 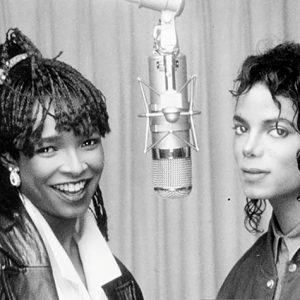 “Perhaps Michael’s most significant racial trailblazing came with music videos,” wrote Joe Vogel in Man in the Music. Fascinated with the fledgling art form, Michael wanted to tell a story and entertain on a grand scale and, in fact, called these masterpieces “short films”, not “music videos”. 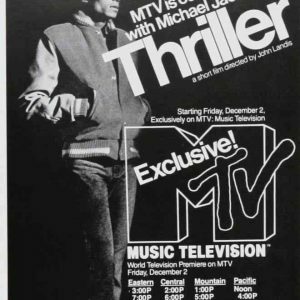 Despite the luscious cinematography, dramatic narrative and spectacular choreography of “Billie Jean,” a fledgling MTV, which was programming white rock artists almost exclusively, refused to play it. Epic persisted. Once the wall came crashing down, MTV’s ratings soared and a door was opened for a generation of African American artists. “He was MTV’s Jackie Robinson,” said cultural critic Touré. Next, came the unforgettable short film for “Beat It,” which featured Michael bringing two gangs together through the power of music and dance. And then there was “Thriller.” Premiered at the AVCO Theatre in Los Angeles in 1983, it sold out every night of its limited run. No other video before or since has generated such excitement and has such a hold on our attention, such that more than 30 years later we all share it as a collective memory and it remains the only music video to be inducted into the elite National Film Registry by the Library of Congress. 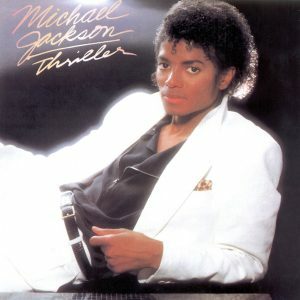 One of the 30 top-selling albums of all-time, Michael Jackson’s Bad–the artist’s third solo studio collection for Epic Records and the eagerly-awaited successor to Thriller–was released on August 31, 1987, and generated a record setting five consecutive #1 singles on the Billboard Hot 100, a feat that took 25 years to match, with some of Michael’s most iconic tracks. 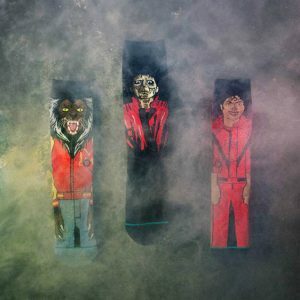 The Bad album is “a fantastical, thematically eclectic, sonically innovative musical odyssey” and, along with Thriller, was one of the best and most influential pop albums of all time. . It was monumental in many ways; Michael wrote nine of the album’s eleven tracks and co-produced the entire album with Quincy Jones. The album was #1 around the world, made history with five consecutive #1 singles on the Billboard chart, produced ten chart-topping singles, nine groundbreaking short films and to date, the Bad album has generated over 45 Million units in sales around the world. 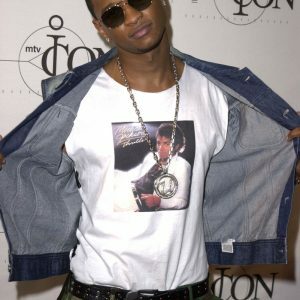 Bad was nominated for six Grammys and won two; the album earned Michael the first-ever Video Vanguard Award at the MTV VMA Awards. 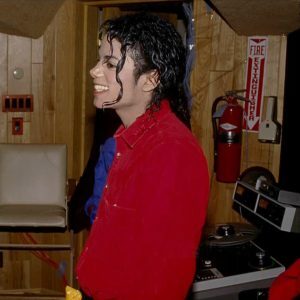 Songs on the original album are: “Bad,” “The Way You Make Me Feel,” “Speed Demon,” “Liberian Girl,” “Just Good Friends” featuring Stevie Wonder, “Another Part of Me,” “Man in the Mirror,” “I Just Can’t Stop Loving You,” “Dirty Diana,” “Smooth Criminal,” with “Leave Me Alone” added to the CD version of the album once released.